Stunning Elements Air necklace with beautiful flowing curves that represents the wind and air. 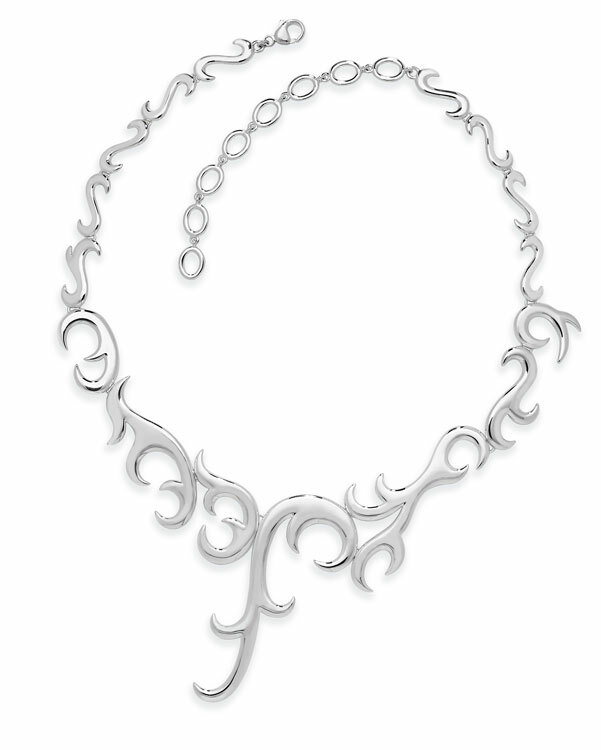 This a-symmetrical design compliments the wearer by elongating the neck and jaw line. This gorgeous, handmade creation is a work of art and has been seen on numerous catwalks in the heart on London.